While a pre-med student at Southern Utah University in Cedar City during the 1960s, Greg was introduced to clay art by Lyman Whitaker. (Lyman’s copper wind sculptures are on display at the Worthington Gallery). After his introduction, Greg instantly converted to art from science. 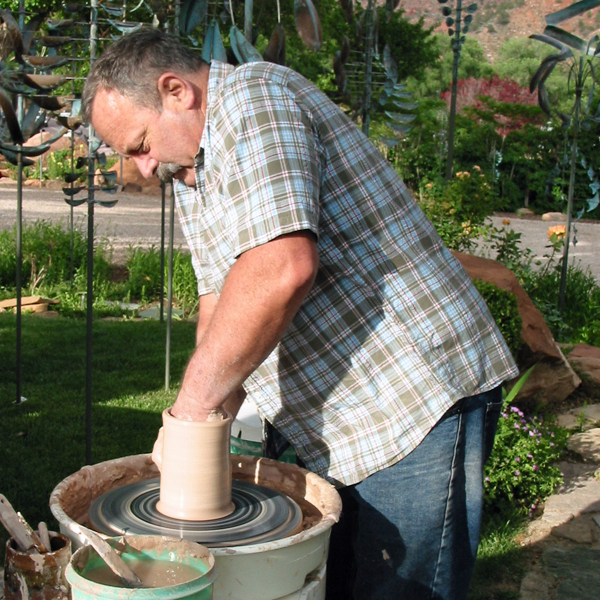 Greg set out directly after college to bring to the public not only his own pottery, but artwork from many of his friends, by opening his first gallery in a canyon just outside of Cedar City. Greg Worthington has become best known for his Cliff Dweller style of pottery. 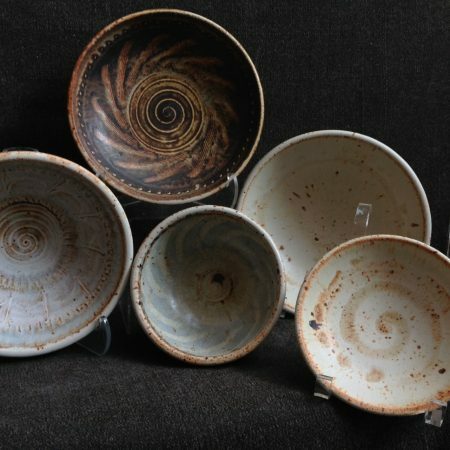 He produces mugs, bowls, jars, vases, pitchers, and ollas in this style. The inspiration for the Cliff Dweller Series comes from the early native inhabitants of the Southwest – dubbed the Anasazi – who were the basket-makers-turned-potters of centuries past. Greg’s intricate one-of-a-kind patterns resemble basketry in a clay form. Greg Worthington’s pottery vessels are all made to be functional, as well as beautiful. He produces high-fire stoneware, which is food safe, dishwasher-safe, microwave-safe, and oven-usable. In 1980, he opened what is now Worthington Gallery in Springdale, Utah, adjacent to Zion National Park. The “family” of local and regional artists joining Greg in selling their work at the present location has grown to three dozen individuals.